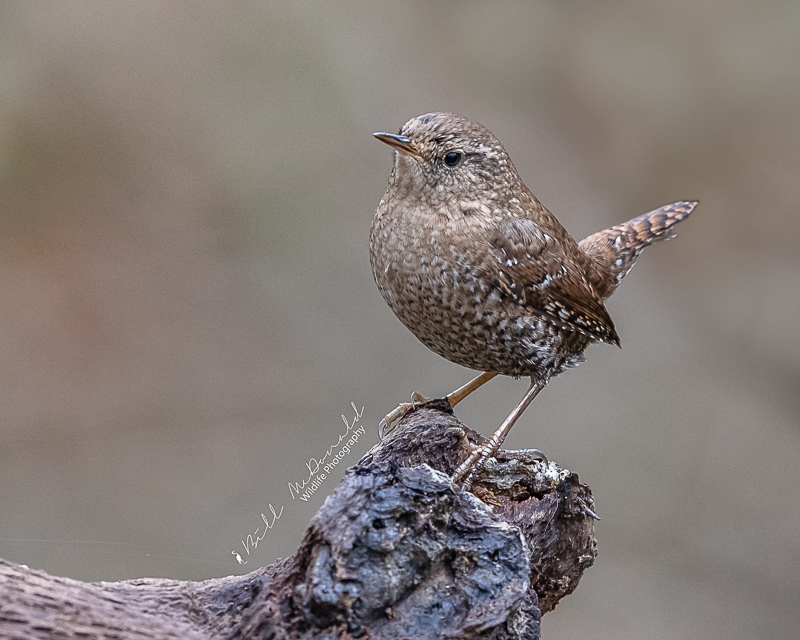 A Winter Wren photographed a few weeks back. A wonderful pose with the tail up, Bill. Great composition and lovely background. Looks a lot like the Carolina Wren. Well done. BillyMac, An overall excellent image. Excellent pose and matching background. A sweet capture of this rather melancholy looking little beauty, Bill in a classic tail up wren pose! Excellent shot of this species Billy!